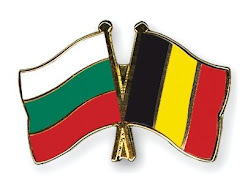 Belgian Bulgarian Tax and Law Consultants: With our help, you can get the most out of advantageous situations and avoid the common pitfalls of international tax. 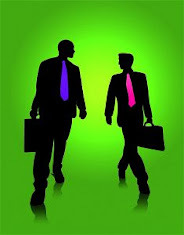 With our help, you can get the most out of advantageous situations and avoid the common pitfalls of international tax. When badly managed, tax can be one of the most stressful and potentially dangerous aspects of working abroad. With expert knowledge and careful planning, however, you can achieve both full compliance and good retention. •Personal financial planning for consultants: getting the most out of your personal financial situation and leveraging any benefits provided for by the local authorities. •Taxation compliance: surely the most important of any contract overseas is to ensure that you remain fully compliant in the eyes of your host country. A key aspect of our service is to ensure that this is always the case by means of accurate planning before the fact, and by taking care of your local tax return for you. •Expatriate taxation: contracting abroad presents a number of advantages from a tax perspective, but care must be taken to remain compliant both in your host country and at home. •Offshore taxation issues: there are many misconceptions and inaccuracies that are often repeated with regard to offshore tax. Depending on your circumstances, widely divergent laws may apply and varying advantages may be enjoyed, but detailed local knowledge and stringent attention to detail is required: there is no “one-size-fits-all” answer to questions such as these. With our help, you can get the most out of advantageous situations and avoid the common pitfalls of international tax. We will guide you at every stage of your contract and take into account every detail of your personal situation in order to maximise your retention and compliance.